Tickets are £8, music starts at 8pm. 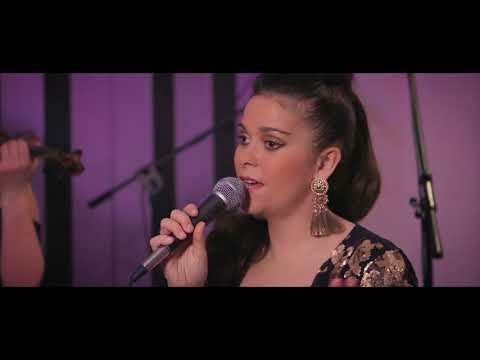 Pixie and The Gypsies perform music from their chart-topping debut album 'Honey Trap', alongside a selection of covers from the worlds of pop and jazz. Sometimes you hear a voice that just stops you in your steps. Such a voice belongs to Taylor Notcutt, who formed Pixie and The Gypsies three years ago while studying jazz vocals at London’s Trinity Laban Conservatoire of Music and Dance. Experienced in varied genres of music and, above all, jazz, the band members were drawn together by a shared passion for the Gypsy Jazz sound. Their first step towards turning their dreams into reality is the release of their musically accomplished debut original album ‘Honey Trap’ on 10th August 2018. With Taylor’s breathtakingly sultry, honeyed vocals bolstered by guitar, accordion, violin, double bass, and sweet backing vocals, ‘Honey Trap’ is a real treat. Alongside her studies, Taylor has performed in a variety of venues across the country including The Spice of Life, The Vortex, Oliver's Jazz and Piano Bar, the Rye Jazz and Blues Festival at the Dankworth awards and Ronnie Scotts. However, it was at Trinity where she met up with violinist and vocals student Connie Chatwin and double bassist Twm Dylan. Together they formed ‘Pixie and The Gypsies’, performing their unique gypsy-jazz style covers of well known pop classics from various eras at gigs and corporate events, to earn some extra cash to support their studies. After entering a competition by Yamaha for the chance to perform at Ronnie Scotts, the band was spotted by A&R for Mercury Prize nominated writer/producer Andy Ross (Golden – The Kit Downes Trio), who subsequently invited them to develop their songwriting and apply the Pixie and the Gypsies style to record an original album, joined for the sessions by Ben Williams on guitar and Stuart Smith on drums. Tonight the band will be playing selections from their debut album: ‘HONEY TRAP’, released last month. Tell us what you think of SUNDAY LIVE MUSIC SESSIONS: Pixie and The Gypsies below..